Creating An Application on ATP is not difficult, but it is a process that will take from 30 - 60 minutes from start to finish. 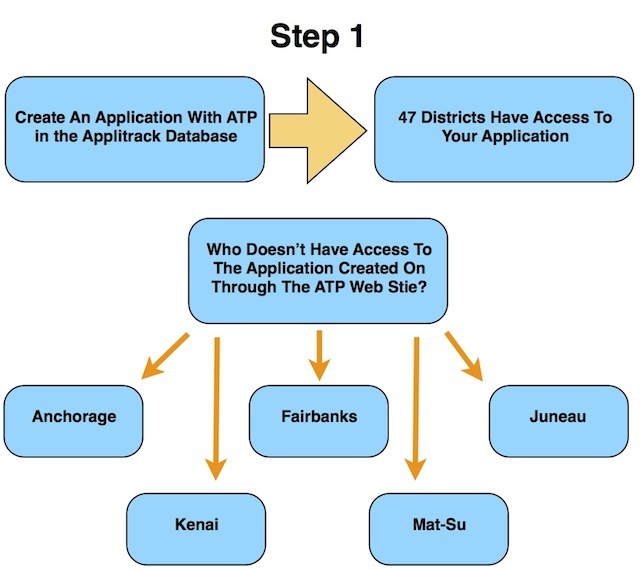 When you create your application in the ATP database it will be accessible by all Alaska Districts except, Anchorage, Fairbanks, Juneau, Kenai and Mat-Su - The "Big 5". These districts maintain their own job bank databases and you will need to create an application in each of these district's dababases. HOWERVER, you can IMPORT your existing ATP Application into their job bank databases. 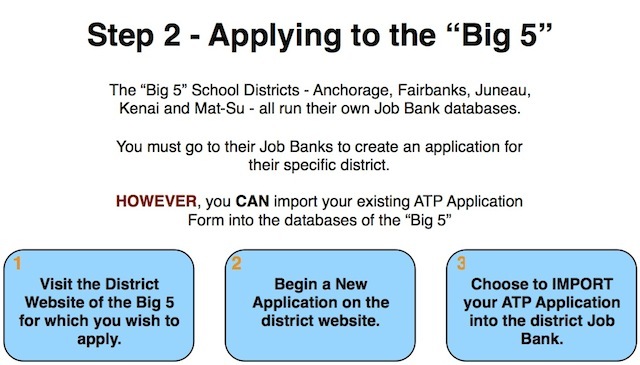 Each of the Big 5 Job Application pages will have a link for importing your ATP Application. Click on ---> START - begin the process OR LOGIN - to existing account.